What makes us different to other care consultancy firms is we own care homes ourselves. It may appear a conflict of interest, however we believe it gives us credibility and allows us to use a larger team of highly talented individuals. We have been purchasing and providing consultancy for care homes for over 20 years, specialising in turning around poorly performing homes. Our specialist team brings together a multitude of experience, expertise and contacts. It also allows us to deploy the right people for the right job. We strongly believe that good finances and regulatory compliance go hand in hand so our approach is generally to audit the care home for regulatory compliance before focusing on both areas. One of our specialities is rapidly turning a non-compliant home into a fully compliant home. We are able to draw on our own experience of operating fully compliant homes. In addition, we have good working relationships with many professional bodies such as the Care Quality Commission, Local Authority Quality Assurance teams, Safeguarding teams, Environmental Health, Infection Control and Fire service. Our clients include individual operators as well as small groups who are looking to satisfy regulators rapidly, be it the Care Quality Commission or the local authority. Our turnaround services are bespoke and designed around individual clients and their needs. We always work in line with our clients’ budgets and work in partnership with their employed staff to ensure the best possible results. Our services extend beyond turning around distressed care homes. We offer a full management solution to those clients that wish to remain owning the asset but wish to take a step back to retire or pursue other business interests. We can introduce our own systems throughout and operate the home like one of our own. We are also able to take on the executive board role for care home groups looking to improve their compliance or financial controls. The cost of non-compliance can be catastrophic and in some cases, lead to insolvency. Being prepared is key to inspection success. It is often possible to predict when an inspection is imminent, so some clients employ us to stress test their systems and provide concise action plans or put in place missing paperwork. Our audits cover all areas of compliance including medication, care plans, recruitment, health and safety, infection control, fire, food hygiene and staff practice. Keeping up with legislation, which is ever-changing, is a nearly impossible task for independent operators or those running small groups of care homes. Some of our clients opt for a regional management package. Employing a solo regional manager and expecting them to keep up-to-date with what is going on around them can be risky. Some clients employ us as the proven alternative. One of our specialist team will visit your care home(s) regularly, carry out audits, offer 24/7 telephone advice and support managers to keep up to date with legislation and best practice. Care home funding has been a long running discussion, underfunding in the sector has caused particular stresses to a number of our clients. Our specialist team can analyse your finances in detail, identify areas where savings can be made and then help you to implement them. It is always our preference to be appointed in time to avoid the receivership or administration process being initiated. When this is not the case we work in conjunction with our employer to ensure the desired outcomes are met. In order to do this, we firstly identify the biggest risks and put in place a detailed action plan to mitigate these. We use all our contacts within the government regulators and commissioners to reduce pressure on the business and allow ourselves time to make necessary changes. We can leverage off our own reputation to benefit our clients and use our own track record to gain authority buy in. Enabling as smooth a sales process as possible is our priority, along with protecting or even increasing the property value. We also offer an operational assessment which can be bolted on to any financial assessment to give an overview of the business from an operational perspective. 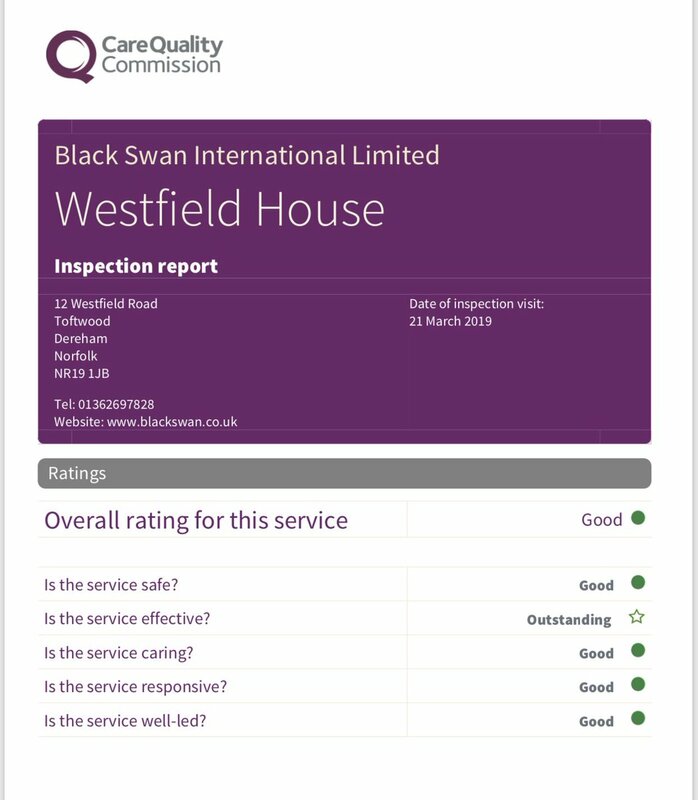 Documented within a CQC report of a care home we managed to turn around from fully ‘requires improvement’ to fully ‘good’ in 6 weeks. ‘At our last inspection, we found that there was a breach of Regulation 17 of the Health and Social Care Act 2008 (Regulated Activities) Regulations 2014. This was in relation to the inadequate systems assess, monitor and improve the quality of the care provided and to reduce risks to people’s safety. Following our inspection, the provider had obtained the advice of another organisation on the running of the home. This had resulted in a positive effect and we found at this visit that there had been improvements in how the home was run.